A recurring themes you will find amongst most successful athletes is one of Persistence. On my journey towards playing for Australia in the 2000 Olympics, I never would have gotten over the setbacks of injuries and partnership changes without persistence. You most likely have your own story too. It’s the same for those who have succeeded in business, art, science – beyond sport. Every champion in life has achieved their personal goal through persistence – persistence in training, persistence through the hard times and even persistence through the good times, striving to be even better. But what causes one to persist? Is it just a matter of putting your head down and sticking at it, or is there something else driving the individual to persist? The ability to persist comes from a number of underlying forces, or attitudes, that make it easier for you to keep going when you are challenged or feel you have failed – on and off the sporting field. My dream to be an Olympian was like a magnet pulling me through and gave me the courage to keep going for it. The more clear your goal is, the easier it is to focus on it and to track a path towards it. If you don’t know where you are going, you have no way of measuring your progress. When your goal is inspiring to you, it draws you to do the things you might otherwise be unwilling to do. When you fall down or have a setback, the inspiration of your goal urges you to get back up again and find a way. How important is it that you achieve your goal? 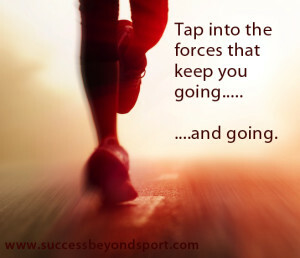 When you know WHY you want to achieve a particular goal, it once again compels you to keep going. The deeper the why (or purpose) the deeper the inspiration. Ask yourself what achieving your goal will then allow you to do? Will it allow you to live a certain lifestyle or is it about making a difference or having an impact on the lives of others? What is the value to you of achieving the goal? What is the cost to you if you quit now and go on a different path? Asking these questions at times of challenge will help you to decide whether to persist or not. When setbacks occur the doubt can creep in – is the goal achievable? Can you achieve it? Are you kidding yourself? Your doubts, beliefs and fears are in your mind, and the important thing is to be aware of them so that you can question them. Back yourself to succeed. When you are committed to your goal, you will keep going, no exceptions. Consider how you can bring greater commitment into your daily life – commitment to a certain task, commitment the small goals. If you have ever been on a diet, you should know how easier it is to say “No” to refills or desserts when you have committed to certain rules on your diet, or committed to achieving a certain milestone. When you commit to a meeting or appointment, there are no excuses for not going. You have to make the same commitment to your most inspiring goals to achieve them. That commitment will help you find a way around the obstacles and challenges. You are going to accomplish xyz no matter what! We all have experienced setbacks and failures along the way to a goal. How you respond to the setback, or perceived failure, will determine whether you keep going and achieve your goal or not. What does a bad result mean? Does it mean you have failed or does it mean you have to make adjustments? Judging a result as a failure might cause someone to quit. The problem here is thinking that failure means you will never succeed, or that it doesn’t work, or doesn’t work for you. It’s all in your mind. When you think of a bad result simply as feedback you can then learn from it. Discovering what didn’t work and making adjustments will, over time, ultimately lead to success. How do you respond to rejection? What does rejection mean? The person who thinks it means they are a step closer to getting a YES is the one who will keep going until they succeed. Think of everything you do as practice or training. If you have to make sales calls, every call you make is a training opportunity, whether you get a yes or a no. We learn from each attempt, the wins and the losses. If you are like me and speak to large groups, every speech is an opportunity to practice, learn and improve. So when is it time to quit? Two years out from the Olympics I considered quitting. I thought about alternatives to my life without sport, since it looked like I never would reach my goal. The thought of reaching 2000 and thinking ‘What if” I had kept going, is what compelled me to keep going. How do you know that a poor result, or repeated poor result, is an indication to change course all together?? It depends on how important is it for you to achieve this goal. If it’s important enough, you will find a way. I can assure you no-one has ever tried EVERYTHING and not succeeded. There is always a slight change or distinction that makes the difference. Think of how much a small adjustment in your sport can affect your speed, your timing, your accuracy and your ability to win. Often it takes the eye or insight from an outside coach or mentor to see fine adjustment what can make the difference for you. Keep looking for a way to reach your goals and you will succeed. They say the definition of insanity is trying to do the same thing and expect a different result. Make some changes and if you don’t know what changes to make ask for help. Dare to fail because you can’t fail if you just keep going. Even when at times it seems futile, keep going because once you break through the barrier, you open yourself up to even greater success, more than you even imagined. What helped you to persist to achieve your sporting goals? Please share your lessons of persistence with me and our readers. A Slideshare presentation on the 8 Steps to fully transition to life beyond sport. 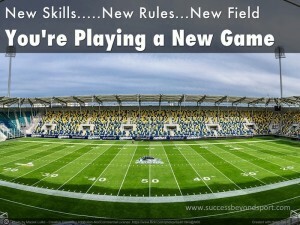 For Athletes, active and retired to fully prepare for a new game in business & life. A life committed to sport can result in a strong identification as an athlete and even specifically with the sport that you play. It’s like we put ourselves in a box with a label and that is all we are. That strong athlete identity can contribute to success while one is still active, but might be very limiting once the sporting career is over. “Who am I now?” is a question often asked by the retiring athlete that, like many others, associates who they are with what they do. Identity has a strong influence over one’s actions, decisions and even beliefs. 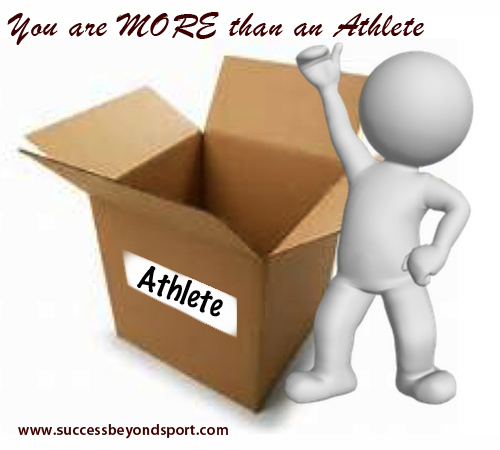 If you identify with being an athlete, then you act like an athlete. Identity is an “I am” statement and an individual can have several. A person may identify with their job (I am an electrician), their hobby or interests (I am a good cook) or even their emotions (I am depressed). Your identity has overarching control over everything you do. All too often, people limit themselves by putting a label to who they are or what they do. Their identity may be attached to their behavior. For example having made a mistake, a person might identify with being a ‘loser’ rather than limiting the label to the action/result. Have you ever heard a parent calling their child ‘naughty’ rather than stating that what they did, (their behavior) was naughty? A change of identity can have the most transformational impact on one’s behavior and results. For many years post-retirement I identified with being ‘just an Olympian’. Like that was all I was good for. At that point in my life I didn’t even appreciate how special that label was. When I realized that I was MORE than an athlete or Olympian, and that I chose to identify with being a businessperson… it changed everything. It completely changed how I spent my time and what was important to me and consequently my results started to change. My identity was aligned with my goals and my future. 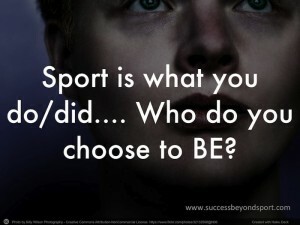 Who you choose to BE precedes what you DO and what you HAVE in life. Often people will wait to ‘be’ – they are waiting for the time when they have done something or have something in their possession. 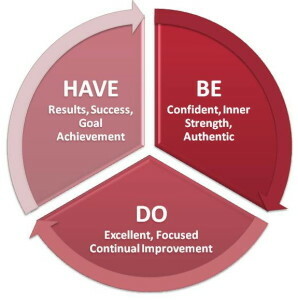 For example, “I’ll BE happy when I have…..”, or “I’ll be successful when I do….” The secret is to be whatever it is you want to be right now, or act as if. My fellow beach volleyball players chose to BE Olympic Gold Medalists at least a year before the 2000 Sydney Olympic Games. The acted like winners, they spoke about winning, and YES, they did win Gold. Don’t wait to complete writing your book to call yourself an Author. BE an entrepreneur now to create success in business. BE a great salesperson to go out and get those sales. Your actions and possessions will change in accordance with your being and identity. 1. Awareness is a start – know where you are at right now. It is important to understand your identity as it can be the difference between attaching to your past results as an athlete or to moving on successfully with a new expanded and well-rounded identity. 2. Be open to change. You need to be open to realizing that how life is today or has been in the past does not have to be how it is tomorrow. You also need to realize that you are MORE than your current identity. Open that box, step out and expand your sense of self. 3.Choose an empowering identity beyond sport. Decide on the identity that fits the kind of results you want to create. I go through written and visualization exercises with clients to assist this process and to strengthen the connection to a new expanded identity. When integrated at a deeper and unconscious level, it becomes a part of who you are, and you don’t have to pretend or consciously think about it. To re-create success in a new career requires an individual to identify completely with their new role so that their beliefs, values and actions are all congruent to produce the results they want. 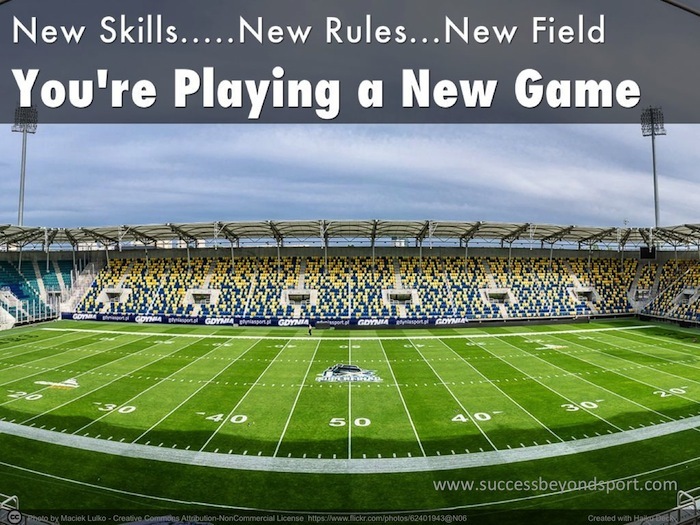 Who do you need to BE now to raise your game beyond the game? Taking charge of life after sport – It’s up to you! I have been researching and focusing on athlete transition for over 6 years and it’s been great to see the upward trend of greater awareness and information on the topic, from articles to TV programs. What frustrates me is that I commonly read or hear that ‘more has to be done’ to help athletes with their transition to life after sport. REALLY?? The solution is out there by an increasing number of services providers, including myself, and it really is quite simple, but yet obviously a challenge to athletes. 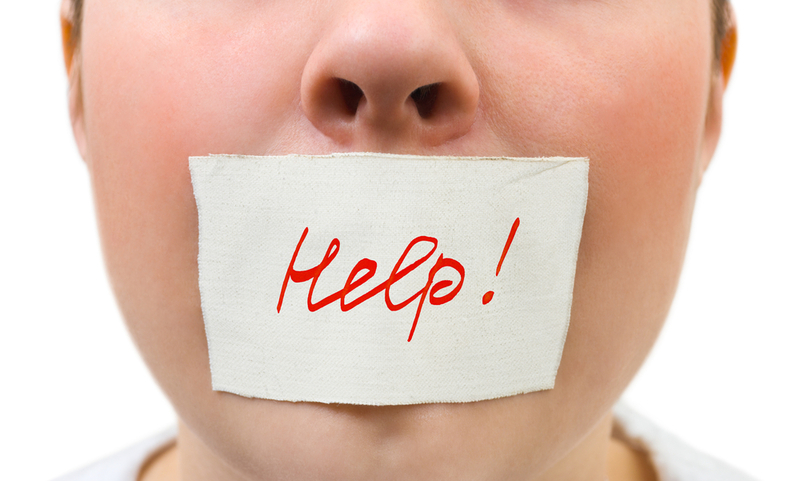 The solution is to step up and ask for help. That’s it, plain and simple. Take charge and do something yourself to get the help you need. Too often the responsibility is placed to sporting organizations and institutions to do something – to create a program, to pay for programs, to provide counseling, etc. Those programs do exist. 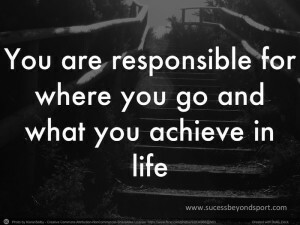 The first step of my Success beyond Sport program is about taking responsibility. It’s part of what I call Pre-Season Training. You know, the training you do to get in shape for competition. Taking responsibility is the foundation of any success. The most successful athletes have a ‘do-whatever-it-takes’ attitude to achieve their goals. Retirement from sport is not a time to come up with excuses and to rely on others to move ahead. Yes, it’s great to have support so why not be proactive look for it. As an athlete you invested time and money to achieve your dreams. I made the mistake as an athlete of not being prepared to invest enough in myself and my own success. I had limits to what I was willing to pay. I was prepared to pay for trips and get to competitions, to work and train hard to reach my goal of going to the Olympics. Could I have done more? One person’s concept of ‘whatever it takes’ will differ from another. Most people have some unconscious limit on what they are prepared to do to reach their goals. You see, I was not prepared to pay a lot of money for my own personal coach. I was not prepared to spend time or money strengthening my psychological game. Back then I thought I was doing everything I could to succeed. I had excuses and reasons not to invest my own money – “I couldn’t afford it”, “I don’t need to do that”. If someone had stepped up and challenged my desire to do anything and everything to reach my goal, then I obviously was falling short. Many athletes are used to getting hand-outs (from the government, from their sporting teams, from their sponsors) that when it comes to decisions that require them to personally make an investment, they back away. On retirement from sport, if you wait for everything to be handed to you and done for you, then you will struggle. Athletes, current and former, need to redefine in their own mind, what they are prepared to do to transition and to recreate success in their lives. What are the limits? Are these limits the very thing that is preventing them from achieving success? My life changed when I decided to invest in myself. I refinanced my home so that I could purchase a second investment property. 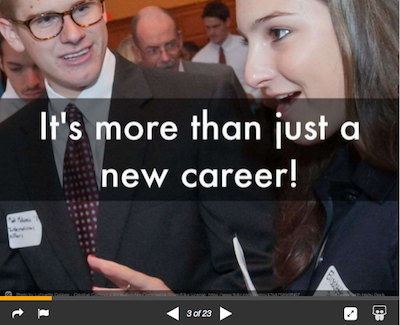 When an opportunity came to invest in my own professional development, I chose that instead. The returns in the life I have created since have made it vastly worthwhile. The training for athlete transition can happen while still active in sport or afterwards – the important thing is to seek it out and ask for help. Doing whatever it takes will take some form of investment – time, energy and money. When athletes are prepared to do that, they will succeed in life after sport. Read more about taking responsibility and how it can help your results. I have added Chapter 1 – Pre-Season Training to my gift when you sign up for the free excerpt. Everyone goes through some major changes in life – coming of age; career changes; parenthood; retirement; and more. For athletes, a dramatic change might come earlier in life than expected with the end of a sporting career. Instead of looking forward towards a new phase in life and new experiences, a retired athlete might stay focused on the past. They may look behind at how they were, and what they did achieve. They may even make the mistake of thinking that’s all they are. Here are 7 Steps that can help you not only cope with change, but to take charge of changing your life for the better. Be a game changer! Humans are goal-seeking missiles. We need a reason to get out of bed in the morning. Without goals people are aimless and decisions are hard to make because they have nothing to base them on. They say that if you aim at nothing, you are sure to get that – nothing. It’s time to think about what it is you want – what do you want to do, to have and to be? Some people get stuck here by limiting themselves to goals they know how to reach. Don’t worry about the how yet. Once you set a goal, you can then find the how because you know the direction you want to go. Dare to dream at this stage and imagine that anything is possible. What do you want? Some people going through change may hold on to what they know they can do, and limit themselves to what else they are capable of. It’s time to realize you can do anything you set your mind to. It may not be easy in the beginning, but believing in yourself will help you get over the mistakes and perceived failures. It will help you to learn from them and drive you to keep going until you make it. Your beliefs about what you can and can’t do are all in your mind and based on past programming. You can change it. Awareness that you can change is the first step. You may need some help or coaching to get rid of limiting blocks so that you can see how much more you are capable of. If you are changing then you may need to change the people you hang around with. You want to surround yourself with people who support you, are inspiring and encourage you to play the game of life how you desire. Don’t limit yourself by only hanging around past colleagues – this keeps you entrenched in the past. Avoid hanging around retirees that are dejected and hating being retired. You want to hang around people that are like you – setting new goals and daring to dream. The best thing you can do is find people that are already doing what you would like to do. With a change in life you will be doing different things which require different skills. Challenge yourself to learn these and become excellent at them. That may mean doing a course, reading books or getting some personal training. This will help make the transition so much easier and quicker because you are not spending so much time learning by trial and error. Enjoy the challenge of upgrading your skills and learning something new. This goes hand in hand with setting goals. Map out what you want to achieve in the next year and then work out what you need to do in the next 3 months. I like working in 3 month stages – its small enough to be manageable and large enough to stretch yourself to improve. Break down your goals to mini-deadlines or steps so that you know what needs to be done to achieve each goal. It might be specific, if you know the details, or it might be more abstract, if you are a little unclear on how to reach your goal. Just be curious about how you might go about moving forward. You may be trapped in the identity of your past career and think that that is all you are. 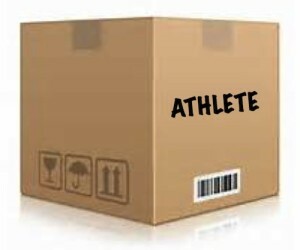 I come from a sporting background and boxed myself into thinking that I was ‘just an athlete’. When I realized that I was so much more than that, my whole world opened up. I was a business person, I was a loving person, I was anything I wanted to be. So are you. Your skills and character that you have developed in the past are applicable to so much more. You can even pretend to take on a new identity. Imagine if you pretended you were a successful entrepreneur. You might then start thinking and acting like a successful entrepreneur. With time you will become a successful entrepreneur? The most effective and long-lasting motivation comes from within and is purpose-driven. What is your purpose in life? What impact will your goals have on you, others, the global community and even the planet? Consider your particular goal…what will it get you beyond the result itself? If your goal is to get a fancy car – ask yourself, “For what purpose?” When you are living with purpose, the universe conspires for your success, and opportunities come your way. There are the seven steps to help you change your life and get focused on the future. Add a dose of curiosity and some passion and you will be well on your way to living with fulfillment and becoming a game-changer. Have I missed anything? What other steps will help you change the game? What worked for you? Are you leading your life or do you feel like life is leading you? Are you taking charge of decisions on a daily basis or do you feel like you have no choice? Personal leadership is about knowing that at any moment you have choice in how to be, how to act and what to have in your life. It is about being conscious of the choices you are making.Many people think that their emotions are caused by other people or situations. There is actually a split-second of decision about what the situation means in order for you to feel that way. Change the meaning and you change the way you feel. People will have different reactions to life events – take losing a job or project. The person who takes this to be terrible and focuses on the loss will respond differently to the person who believes this can be a good thing and an opportunity for even better things. These two people will feel differently and consequently will take different actions. Personal leadership can be broken down to who you need to be, do and have. And that is the best order for these words. Poor personal leadership results when a person is focused on, and waiting to have or see results before they take action or before they start behaving like the kind of person they want to be now. When you have strong personal leadership you have confidence, you have an inner strength and belief that you make things happen. 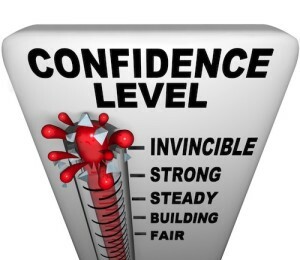 This confidence is not dependant on external results or feedback. If you are waiting to see results or hear praise before you can be confident then you might be waiting for some time. An effective personal leader has intent with their day and their moments so that they take charge of their emotions, actions and their results. A personal leader is also authentic – authentic with their feelings, authentic with their current state of results and authentic with others. There is no need to wear a mask and be ashamed of oneself when you take ownership of your true self and know that you are okay exactly as you are. One needs to take action and make decisions to get results and though this is done with thought and planning, there is no time for delay or procrastination. A personal leader aims for excellence in everything they do and puts in 100%. They are playing to win, not over others but to win for themselves, knowing that everyone can win. Personal leadership is about continual improvement studying how one can do things differently and better – to make life even more fulfilling. The actions of a personal leader are focused in order to reach success earlier and easier. A personal leader focuses on who they are being and what they are doing and as a consequence, have the results they desire. They achieve their goals on a consistent basis and have the lifestyle and the things they want. Through personal leadership one creates a knowing and trust that anything is possible if one truly desires it, takes aim and applies oneself to do whatever it takes to succeed.